It has been a year of new health secretaries, potential redundancies and the odd EPR procurement scattered here and there. We have sorted through our hundreds of stories this year to bring you the top 10 most viewed news stories of 2018. Patient Access going down for a day pipped looming redundancies at NHS Digital while the new health secretary’s promises of lots and lots of money to digitalise the NHS also makes the cut. Taking the top spot as the most viewed story of 2018 was about the Patient Access app and website. A number of users were left annoyed that the service, which is powered by EMIS went down in May 2018 following and update which meant they were left unable to log in. Patient Access did issue an apology, saying the update and ‘an unprecedented level of demand’ had resulted in ‘some challenges’. Matt Hancock confirmed in a written statement in Parliament in November 2018 that around 500 NHS Digital staff could be made redundant as part of the organisation’s restructure which has been labelled ‘Org2’. Digital Health News first reported on the story earlier in the year (see below). 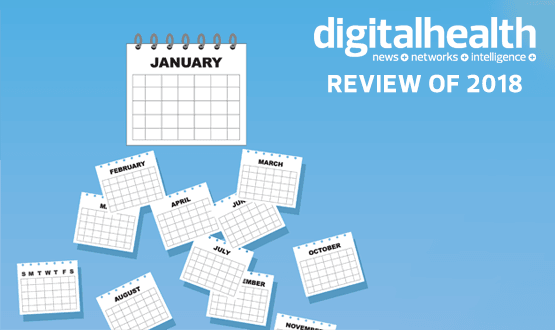 As previously mentioned, Digital Health News first reported about the potential redundancies at NHS Digital in August 2018. We reported how the restructure aims to address a shortage of expertise in new and emerging technologies, such as cyber security, machine learning and artificial intelligence. GP IT supplier EMIS made headlines in January 2018 when it told investors it expected to be stung by a multi-million-pound penalty after failing to meet contractual obligations under its GP Systems of Choice (GPSoC) contract. The company failed to meet standards across three categories in its service-level agreement with NHS Digital regarding its Emis Web GP electronic patient record product though it did not specify the areas in which it fell short. NHS England waded in an a planned expansion of Babylon’s GP at Hand app in January 2018. Babylon had hoped the free NHS service, which currently only has sites in London, would be rolled out in other cities across England. However NHS England decided to step in and lodge a “formal objection”, saying the service has not been “formally evaluated”. The summer months brought change at the Department of Health and Social Care as Matt Hancock replaced Jeremy Hunt and Secretary of State. In his first speech, Hancock committed half a billion pounds of fresh investment to transform the use of technology in the NHS. He also listed technology as one of his top three priorities. 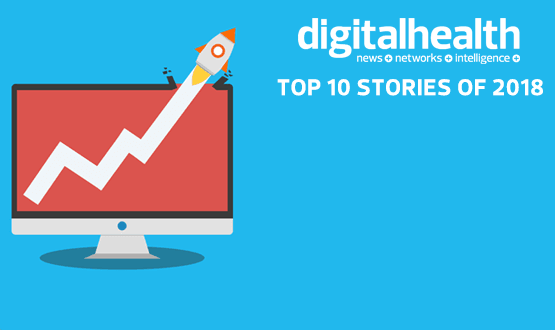 The topic of sharing patient records certainly dominated the Digital Health News headlines in 2018. In particular, the Local Health and Care Record Exemplars (LHCRE), with invitations being sent out by NHS England in March 2018. A small number of regional health and care collaborative communities were invited to bid for up to up to £7.5m in national investment, which bidders will be expected to match fund. The money would go towards building on existing local work on shared records to further develop joined up regional health and care information reference sites. EMIS was dealt a blow in January 2018 when it was revealed it had lost preferred vendor status for GP practices in Wales. The decision had been made by NHS Wales following a “planned procurement review process” and meant 195 practices will now be transitioned to a new supplier through 2019/20. A new digital roadmap was published by NHS England in February 2018, setting out the organisation’s national objectives. This included a timeline for the deployment of key national patient digital services and platforms. Another big thing for 2018 was the NHS App with NHS England’s chief digital officer, Juliet Bauer, revealing in September 2018 that the app would be launching to private beta users that month. Details about the national roll out have been vague though it is hoped everyone will have access to the app at some point in 2019. So that wraps up the biggest stories of 2018, what lies in store for 2019?